Buying a TV today is hard. It’s even harder when you can’t find real answers. Samsung, Sony, Sharp, and other manufacturers have just started to walk away from publishing the refresh rate of their TVs and have started using their own measurements instead. It makes apples-to-apples comparison impossible. What is refresh rate anyway? 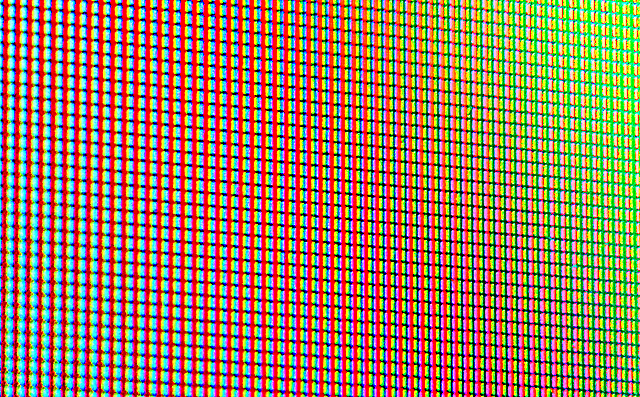 If you read this article, you’ll see that refresh rate is one of the three most important measurements of picture quality overall. Brightness and contrast are also important, but before even looking at how bright a picture is, you need to know that you’re not throwing away half the picture information or introducing unnecessary blur into the picture. In order to properly display images from both movies and broadcast sources, your TV must have a refresh rate of at least 120Hz. That means that 24Hz (movies), 30Hz and 60Hz (video) sources can show each frame without getting jumpy, blurry, frames in the middle. Everything is clear and sharp. Until 2012, HDTVs generally showed refresh rate on the box. However, starting with late 2011 models, major manufacturers started using their own terms to describe how well a TV handles motion. For example, Samsung calls theirs “Clear Motion Rate” and according to them, CMR is Samsung’s more comprehensive and accurate measure for TV motion clarity. With their outstanding CMR ratings, it’s no wonder Samsung TVs deliver extraordinary image quality. If you read Samsung’s page you are left with the impression that teams of engineers pore over every TV to give it a grade that helps you understand the experience. Or, it could be more like this. Marketing: We want to sell more cheap TVs. Engineering: We think people want 120Hz. We’ve been telling people to look for the 120 on the box. Marketing: So how can we put a 120 on the box, which is what people look for, and still sell a cheap TV? Engineering: You would have to make up your own measurement system. Engineering: … uh … we didn’t mean you should actually DO that. Start with the actual refresh rate. Multiply it by 2 if we put an image processor in. Multiply it by 4 if we put in an image processor that actually does something. Then, multiply it by 2 again if we can turn of the backlight when the image is drawing. All I know is, they took my 2011 TV and relabeled it as a 2012 TV. It used to say it was 120Hz. Now it says Clear Motion Rate 240. Does that means if I bought a 60Hz TV (which would have been really unsuitable for me) it would be Clear Motion Rate 120? If Samsung didn’t want to confuse people they could have left the refresh rate and then given a separate measurement that didn’t look like a refresh rate, for example use a letter grade or something. I’m singling out Samsung because I have one of their TVs but every manufacturer is going to this measurement system, not just Samsung. I think it’s intentionally confusing. For now, bestbuy.com is still publishing true refresh rates. I’m not suggesting you buy from them, but at least do the research and find out the actual refresh rate of any TV you want to buy.